International student exchange is an opportunity to discover and learn from practice in other countries but few students sign up. 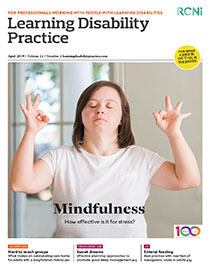 This article describes two European Union Erasmus Intensive Programmes that gave learning disability nurses from England and Scotland, special teachers from Sweden and Romania, and special educators from Norway, the opportunity to participate in international and multidisciplinary classroom learning about health, employment and educational services for people with learning disabilities. A module on this will be delivered online in the future.